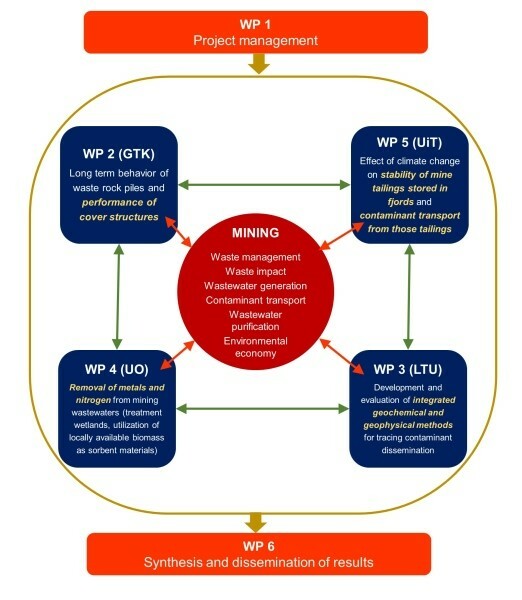 MIN-NORTH is a trans-national cooperation project between universities and research institutions with expertise within mine waste management, mine water treatment, applied geophysics and geochemistry with long experience of collaborative projects with the mining industry in the northern regions. Four organizations are participating in the project: UiT The Arctic University of Norway; Luleå University of technology (LTU-project leader); Geological survey of Finland (GTK); University of Oulu (Ou). In addition, local SMEs and mining companies in the region also take part in the project activities actively. The overall goal is to reduce the environmental impacts of mining in the northern regions which has been defined as one of the most important environmental issue of concern for the mining industry. The project will run for 36 months from January 1st 2016. 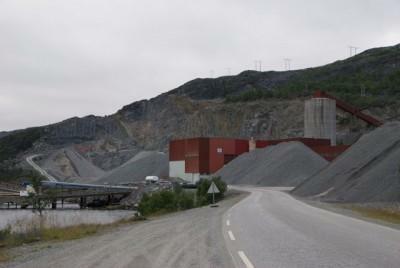 UiT The Arctic University of Norway is responsible for work package 5: Effect of climate change on stability of mine tailings stored in fjords and contaminant transport from those tailings.